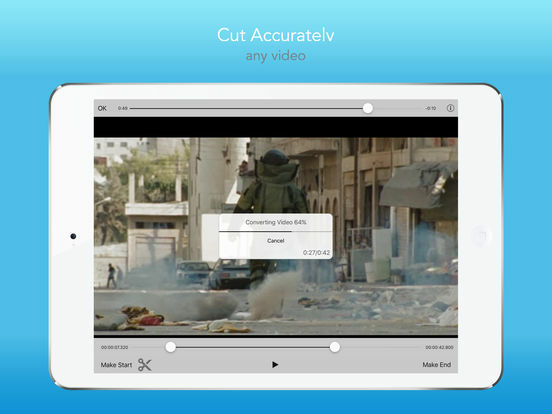 iVideoCut is used to cut a part of a video file and save to a new video file in mp4 format. 1. Select a source video file. 2. Mark start and end position. 3. Press scissor button to start. 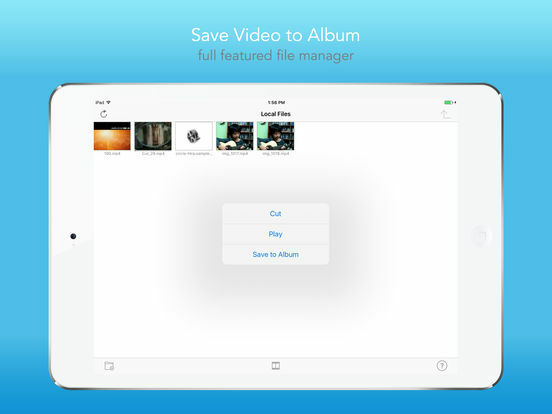 And save cut video to album!